I didn't want just another wedding. We were travelers, who had met across the world from our homes, and built a life with people who believed in the transformational power of travel. Only an Epic Destination Wedding would do: Eight days of the most stunning locations in Jordan, where my husband was born and he had showed me how welcoming Arab cultures can be. Our guests came from the US, Argentina, Europe, Asia and Australia. Perhaps not surprisingly, it was the Americans that were hardest to convince. Despite many conversations, the fear based narrative in the news meant that I had to put myself out there and say, "trust me, it's safe". Thirty people believed me and came on incredible journey of love and celebration. That trip changed our lives. For my guests, it was a way to make friends with the people the news told them were their enemies. For me, it was a lesson in living in the moment and embracing a wholly foreign culture as part of my family. P.S. One guest returned home so inspired, she planned the next international trip on her own, got married a year later, and named her daughter Jordan! 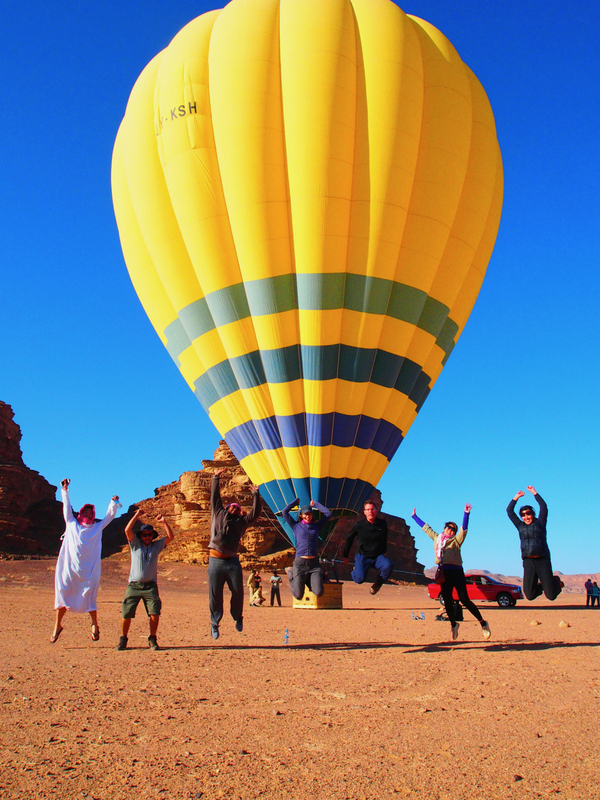 The hot air balloon from the ride over Jordan valley became part of the logo for my travel tech company - YouLive To Travel.